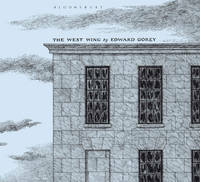 Consists of images without words, illustrating the peeling and peculiar world of the West Wing of some imaginary pile. Gorey is the master of off-beat humour. ‘A compendium of useful information for guests at the mansions of the nobility, gentry, and clergy’ – so goes the subtitle from this very amusing little book, first published in 1900. In his novels ‘What A Carve Up’ and ‘The Rotters’ Club’, Coe established himself as perhaps the best chronicler of middle England in the late C20th. Here he is again, and his touch remains sure: funny, clever, wise and very readable. The nation is in peril. 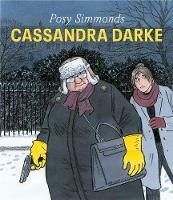 In this very funny and delightful homage to The Master, it transpires that Jeeves has long been an agent of British Intelligence. Now His Majesty’s Government must turn to the one man who can help . . . Bertie Wooster. The Howard in the title is Howard Hodgkin. Batterham is a visitable bookseller who writes about his wanderings in search of antiquarian books and the visits of those customers fortunate enough to track him down. This is about the misuse of language rather than of grandmothers.